Restaurant Owners Rejoice this V-day! Valentine’s Day is right around the corner and you’ve probably already seen all the Valentine’s cards, candy, jewellery and other gift items appearing in stores enticing you to get in the mood for a romantic evening in February. Many couples enjoy getting out of the house, away from their own kitchens on Valentine’s Day and booking a nice dinner for two at a favourite restaurant. It is here that they can relax, sit back and enjoy a savory meal whipped up by a chef often demonstrating their artistic flair for a couple in love. Now is the time that restaurants start planning their menus for Valentine’s Day and how to make their venue special for their guests. Restaurants recognize Valentine’s Day is the day of love and the possibilities of proposals happening at their establishment is high on this day. Menu – Add flair to your already amazing menu by making it even more special. Think special sauces that add that extra touch and definitely a few chocolate dessert options. Presentation is key so don’t skip the artistic flair. Marketing/Advertisement – Use marketing tools that will effectively get the word out about the evening you have planned and entice new guests to book a reservation. Eventastic is an easy to use marketing tool that is flexible to use for any type of event! 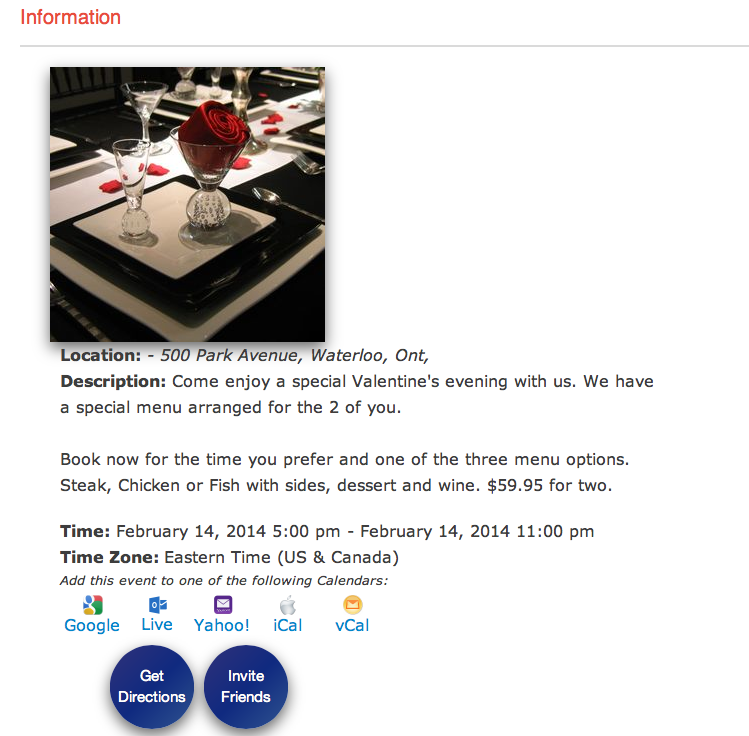 Profile Picture – use your restaurant name/logo or another picture depicting your planned Valentine’s evening. Cover Photos – upload as many photos as you’d like to display the evening and mood. Photos of a couple clinking glasses, savory main course options, heavenly desserts offered that evening, planned table settings etc…Really use these images to display your style. Video Option – take advantage of the video option by uploading a video of the entertainer you may have planned, or a personal invite from the owner or hostess expressing how they plan to make the evening special. 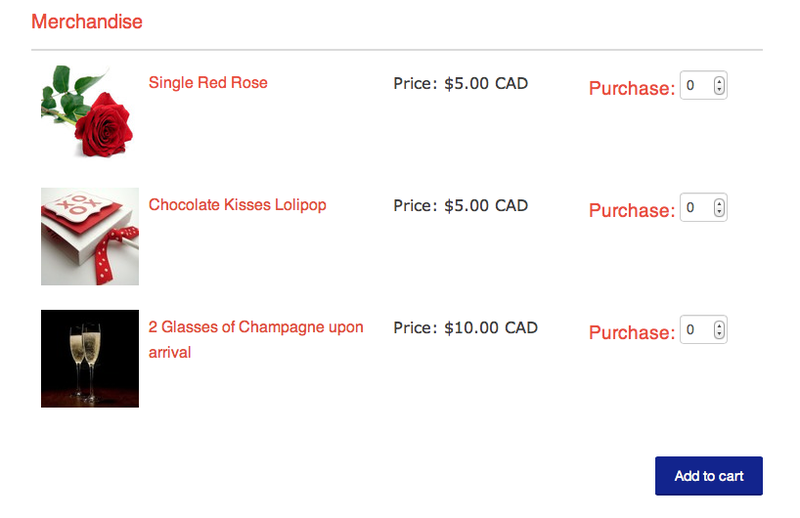 Dinner Packages – Eventastic has an option for selling tickets on your event page. This is a perfect opportunity for you to sell reservation times for the cost of the couple Valentine’s Package Dinner. i.e. : 20 tables – sell twenty 5pm reservation times, twenty 6pm reservation times…etc. Sell Merchandise – give your guests options of having a glass of champagne upon arrival, roses, special favors etc in addition to the dinner package; all ordered prior to the evening! Social Media Exposure – share your Valentine’s party package for two on all social media channels easily and make it easy for your customers to find you on social media. There is no limit to you expressing your creativity through the use of the extremely flexible marketing tools Eventastic offers. Start your Valentine’s Day event page now and get the word out effectively!